Just how important is your garage? Sure, it protects your car from the elements, but it also provides an extra access point for your home, adds an opportunity to enhance your home's curb appeal, and without a quality garage door and garage door opener in St. Louis, your home's security will suffer. Unfortunately, too many homeowners neglect this area of the home. Rather than dropping $50,000 on a new kitchen, a significant home improvement can be had for $1,000 or less. No matter where you live in the greater St. Louis area, no matter whether you need repair work or a new installation, we can help you find the right person for all your garage door and garage door opener needs. The key to garage door openers is matching the right opener to the level of convenience, the garage door itself, and your budget. If you're going with an automatic garage door opener, as most people do nowadays, at the very least, choose one with a modulating frequency that is more difficult for a would-be intruder to crack. People who use their garages as common entry and exit points may want a bit more convenience and choose from higher wireless keys and remote controls. The best of the best includes computer-controlled access that will allow you to view and control your garage door from your home or work office. More than just convenience, however, garage door openers, both manual and automatic, should be matched to the doors and garages in which they are installed. For heavy wood garage doors, for example, most screw-driven garage door openers have greater load-bearing capacity. Chain-driven models tend to be the least expensive, but they can also be loud, a problem if your garage is attached to your home. Belt-driven models are a nice happy-medium, but be careful on pulling the trigger on an inexpensive model that may fail after just a few seasons. Many St. Louis homeowners don't even know that garage doors require maintenance, but garage door maintenance is one of the most important things you can do for your household. Automatic garage door openers should be tested once a month to make sure their safety features are working properlyboth in terms of resistance and electronic eyes. Doors should be lubricated and visually inspected. You should also make sure the door will catch where it was designed to catch (and remain open). This will help ensure it stays properly balanced. A new garage door might cost you about $1,000, while an automatic garage door opener can usually be had for a few hundred dollars or less. Aluminum and fiberglass garage doors tend to cost a little less, and wood doors tend to cost a little more. The cost of a garage door repair can range all over, but our data suggests an average cost of $250. As for contractors, just like any home improvement, you need to take your time and do your homework to make sure you find someone you can trust. You and your home deserve someone who's going to do great work for a fair price and in a reasonable amount of time. Our contractors are prescreened to ensure basic industry credentials. More than this, however, we give you access to our online customer ratings and reviews. This allows you to see what St. Louis homeowners have said about individual contractors, while creating powerful incentive for them to meet and exceed your expectations. Comment: I have a very well built garage built in the last 20 years (?). 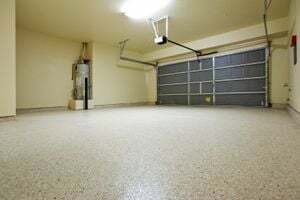 However water leaks into the floor on one side and there is no where for the water to drain or dry out so the garage becomes a 1-2" deep swimming pool in which the undercarriage of the car rusts. We don't know whether the garage needs different gutters, or extended overhange, caulking, reslope the driveway or tear it down and build a new garage with a new slab. We need someone to troubleshoot the situation and recommend the most effective and efficient plan. Comment: need 2 single car garage doors replaced. Comment: I have a thirty year old manual garage door, that either needs replacing or some new panels and an opener installed. The door is double wide eight feet tall. Saint Louis Garage & Garage Door Services are rated 4.75 out of 5 based on 1,093 reviews of 41 pros. Not Looking for Garage & Garage Doors Contractors in Saint Louis, MO?